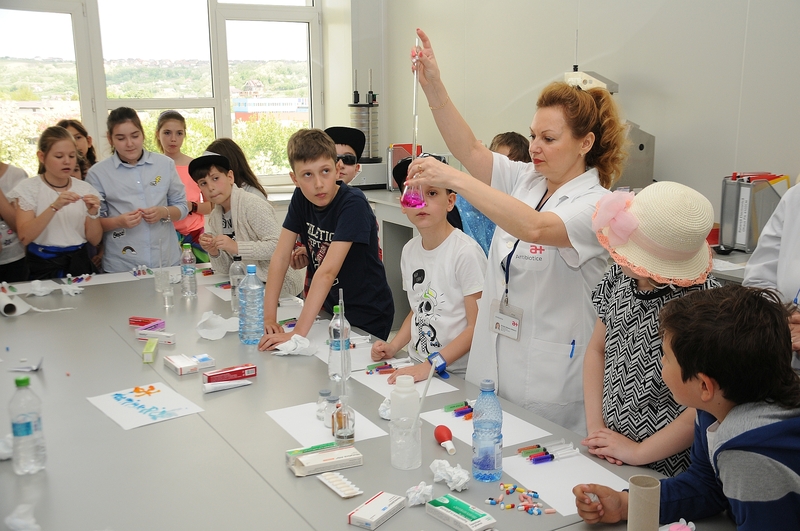 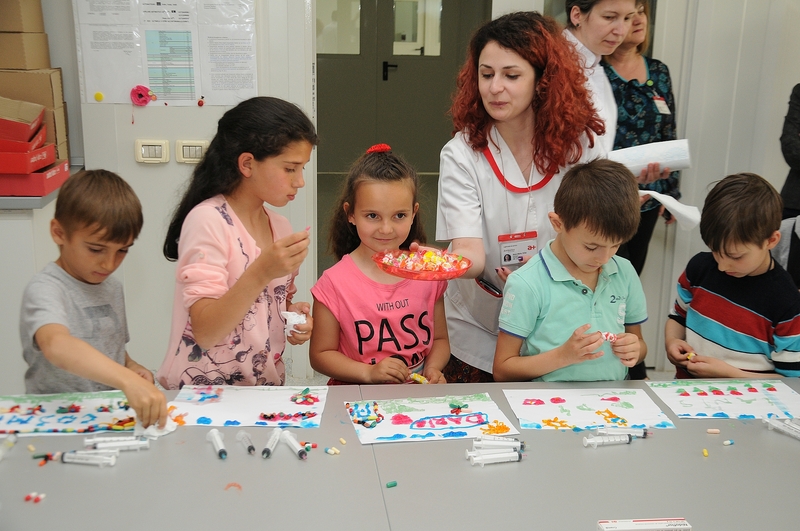 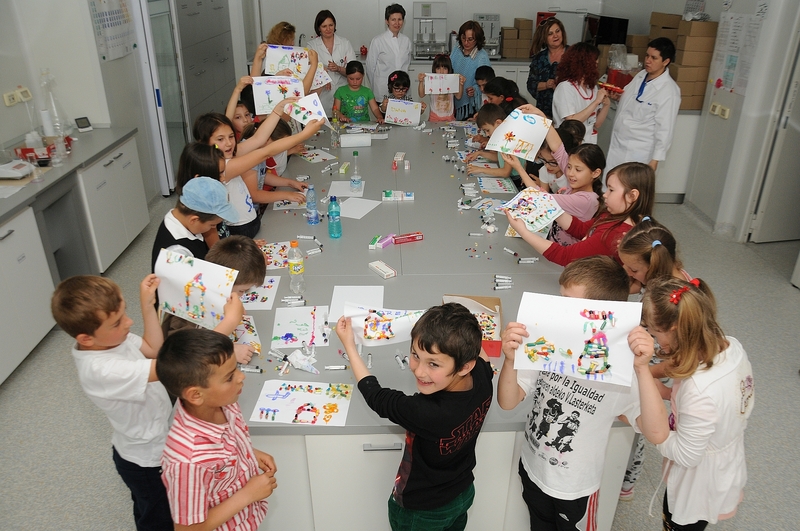 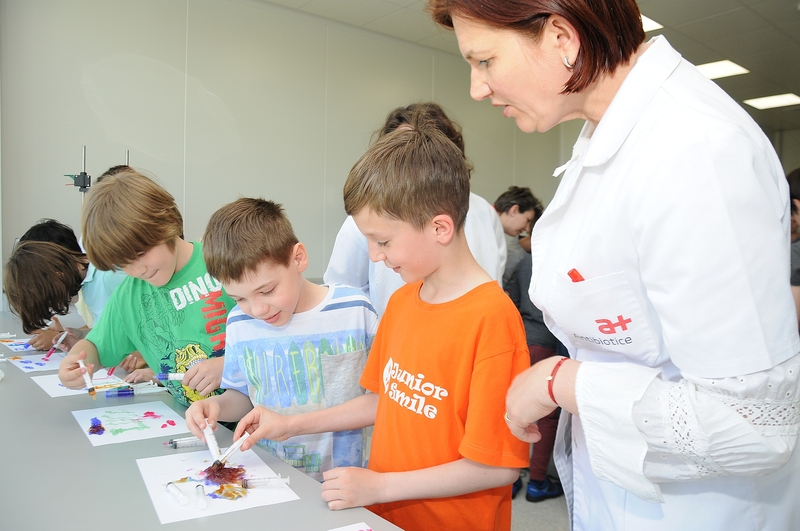 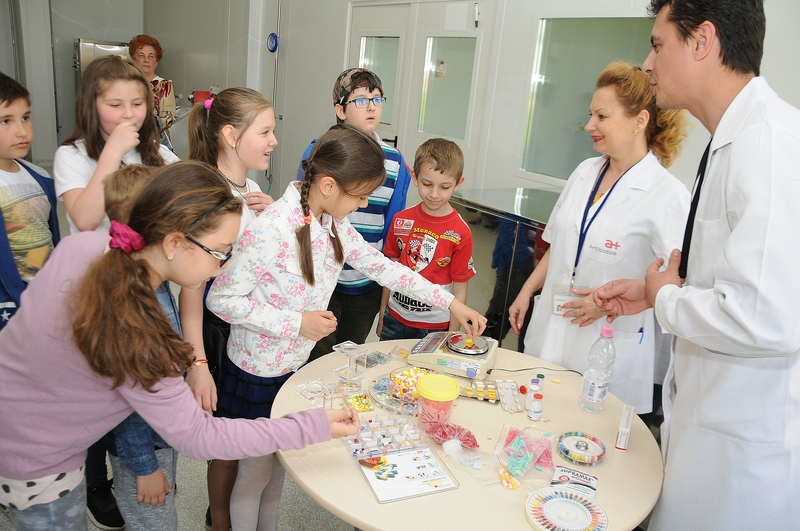 From 15th to 19th May, Antibiotice opened its gates to receive children from primary schools who study in Iasi and its surroundings. 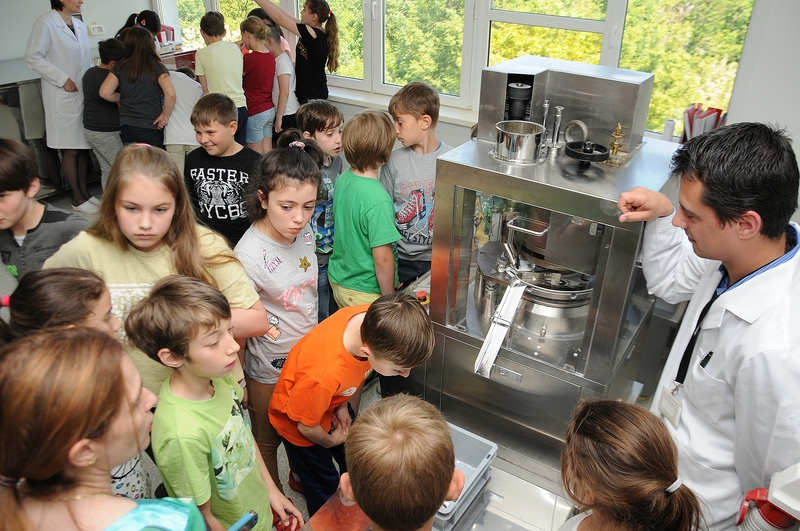 Our little visitors were curious about the way we make pills, what a film-coated tablet is and they felt on their skin the difference between a gel, a cream and an ointment. 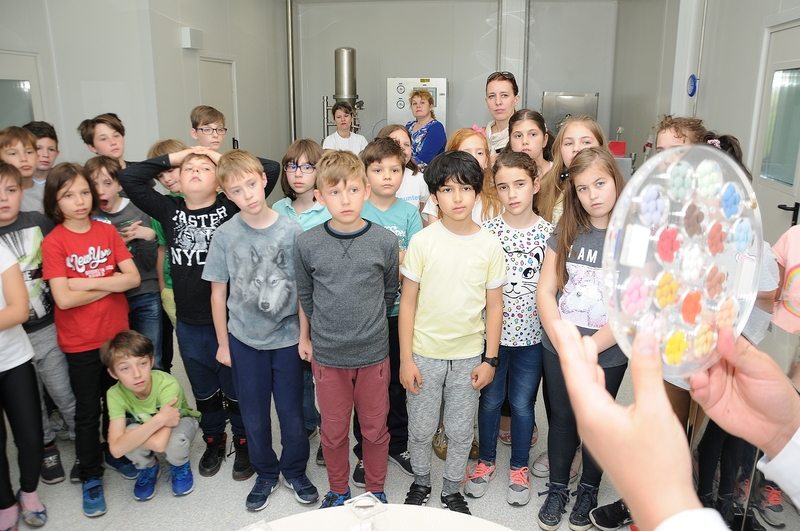 The children have carefully watched the process of pills dissolving in the stomach, witnessing fascinated the magic changing of color, when the base encounters an acid and the reagent interacts instantly on them. 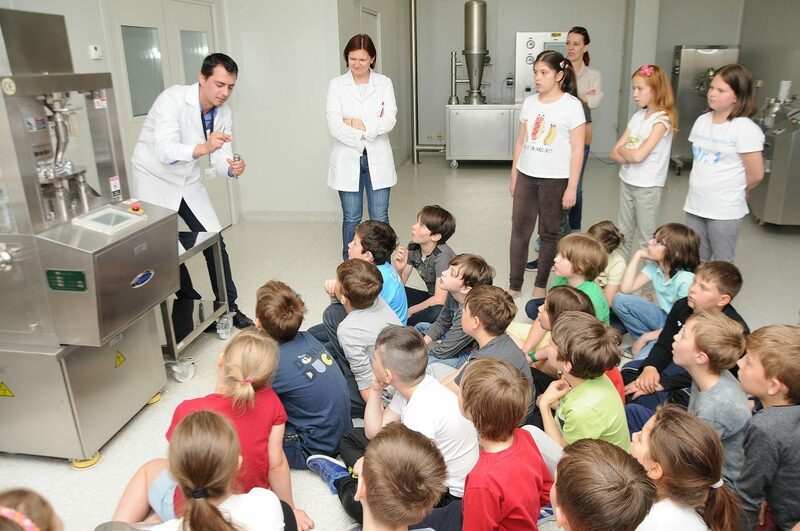 The students mixed gels and listened carefully to our pharmacists’ explanations about homogenization, drying and compression. 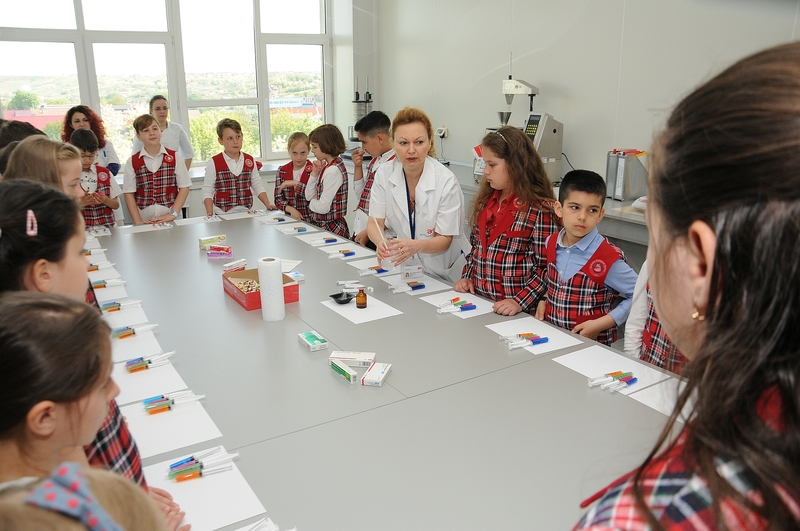 At the end, each student was given the chance to play with their imagination and paint with colored gels and capsules specially prepared by our colleagues from the Research department. 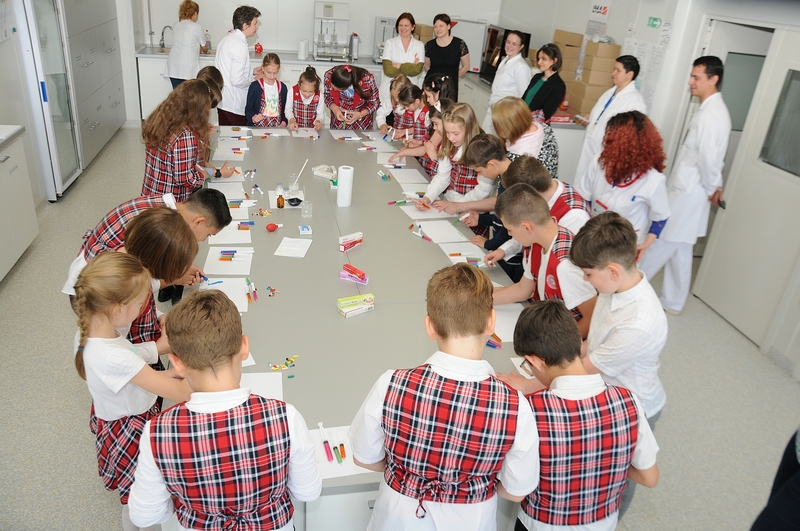 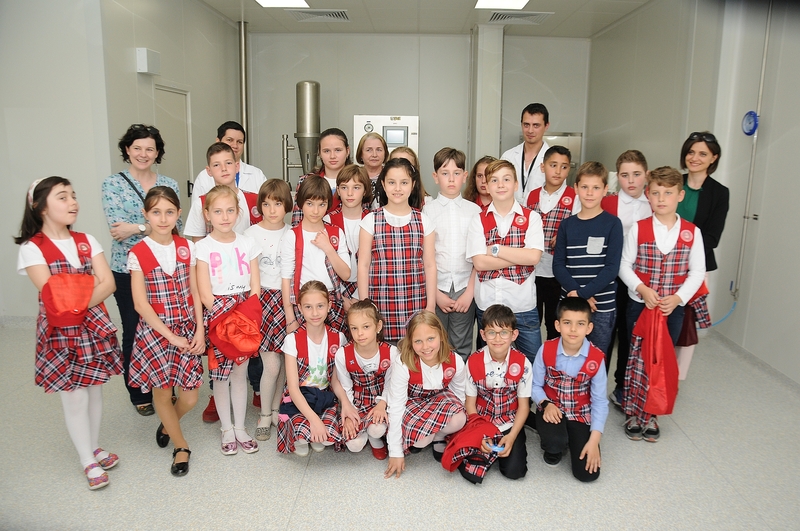 Antibiotice was the host of grades I to IV from “Colonel Langa” School (Miroslava), 3rd graders of Carmen Sylva and Carol the first, grades I-IV from EuroEd and Grades VII-VIII of the Stefan cel Mare College.